will be the doggie guest host. 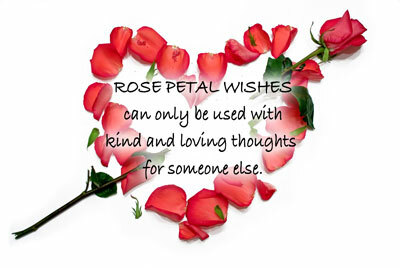 What if rose petals are wishes that can only be used with kind and loving thoughts for someone else? Even those who don’t deserve kindness and love—or perhaps especially for those people? Those who have been rude or even threatening to you? Those who have been disrespectful or who have hurt you in some way? My experiences of abuse, betrayal and violent deaths have made me wary of forgiveness. I don’t want those ugly experiences to control my actions, but I don’t want to be foolish and set myself up for further trauma. I know the Universe has a magical way of turning even the ugliest situations into miracles that benefit everyone involved—if humans get out of the way and don’t try to micro-manage things. As I’ve made Rose Petal Wishes, I’ve also noticed the energy of rose petals. Hard to stay angry or vengeful when love radiates in your hands. 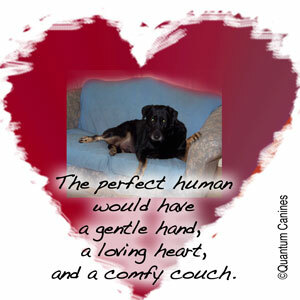 The dogs at Quantum Canines do more than snuggle with humans! 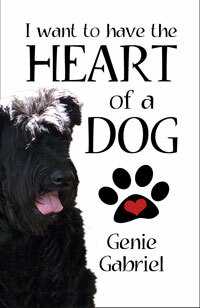 My Cocker Spaniel inspired a homeless dog named Mr. Razzles, who is featured in the romantic comedy novella, No More Poodle Skirts. 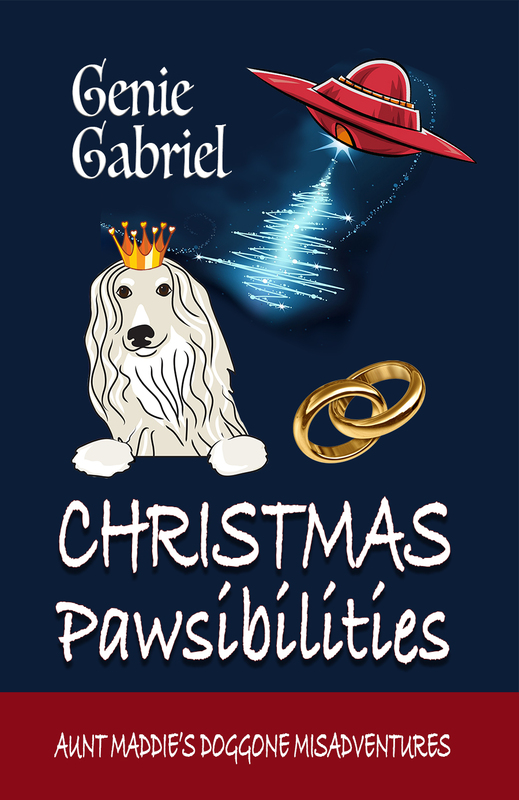 Thanks to Aunt Maddie's soft heart, he doesn't stay homeless long--plus he lends a paw to capture the bad guys who threaten a boy and his mother trying to build a new life. Digital formats are just 99 cents! As Keller snuggled under the blankets, Mr. Razzles hopped up on the bed next to him, turned around three times, and laid down with his furry head on Keller’s pillow. “Can he sleep with me?” the little boy asked. For Favorite Friday today, I'm delighted to repost a blog entry from Mollie Hunt, author of the Crazy Cat Lady mystery series. Native Oregonian Mollie Hunt says she has always had an affinity for cats so it was a short step for her to become a cat writer. 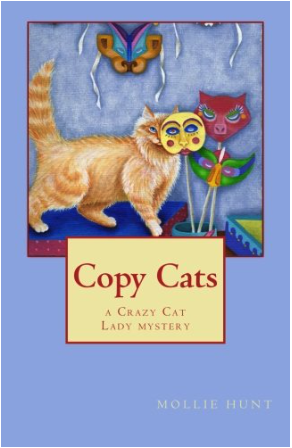 Mollie is the author of the Crazy Cat Lady mystery series, including Cat's Eyes (2013), Copy Cats (2015), and Cat’s Paw, arriving in August of 2016. She also published a non-cat mystery, Placid River Runs Deep, which delves into murder, obsession, and the challenge of Hepatitis C before the cure. Mollie lives in Portland’s eclectic Hawthorne district with her husband and a varying number of cats. 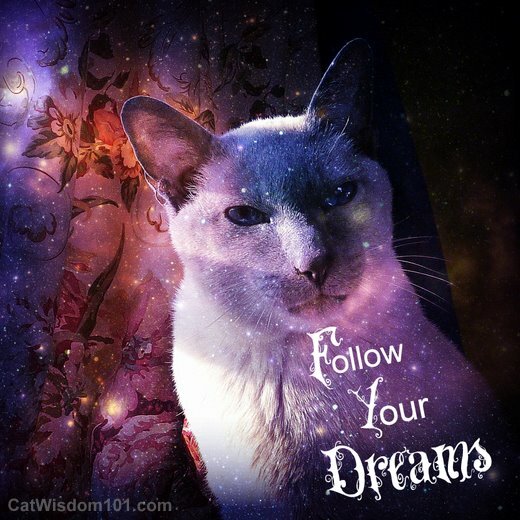 Visit Mollie’s website to learn more <http://www.lecatts.wordpress.com/>. Hope you enjoy this post from Mollie! The other day, a friend was describing her cat’s crazy antics, and she ended with the simple sentence, “Because cat”. I instantly knew exactly what she meant – that cats do their cat thing, and that’s all there is to it – but I wondered where the term came from. Did she make it up or was it some internet meme I’d managed to miss? It was so perfect. Any cat person would instantly know she was referring to that ultra-feline edgy behavior all our kitty companions display sooner or later. I looked it up on Google. Turns out there is an artist whose work is called “Because cats” with an “s”. Not the same. There is a movie, “Because of the Cats.” There is a website, “Because, Cat” but I can’t tell what it’s about. 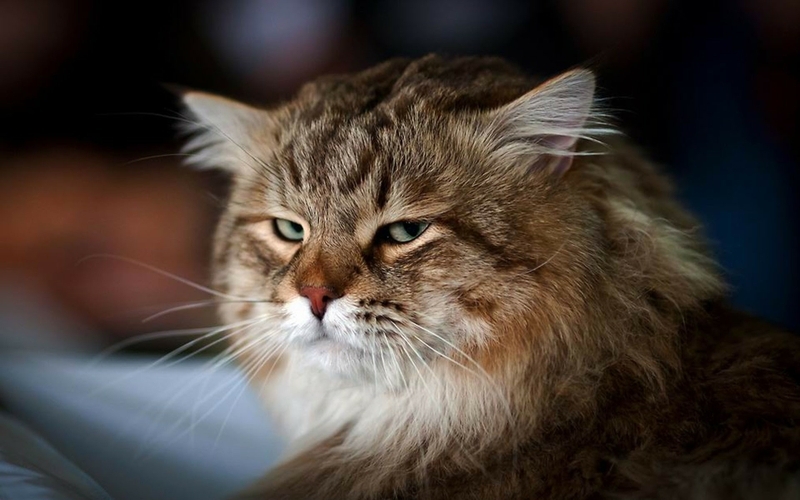 There is even a link to one of my own blogs where the words “because” and “cat” are used. 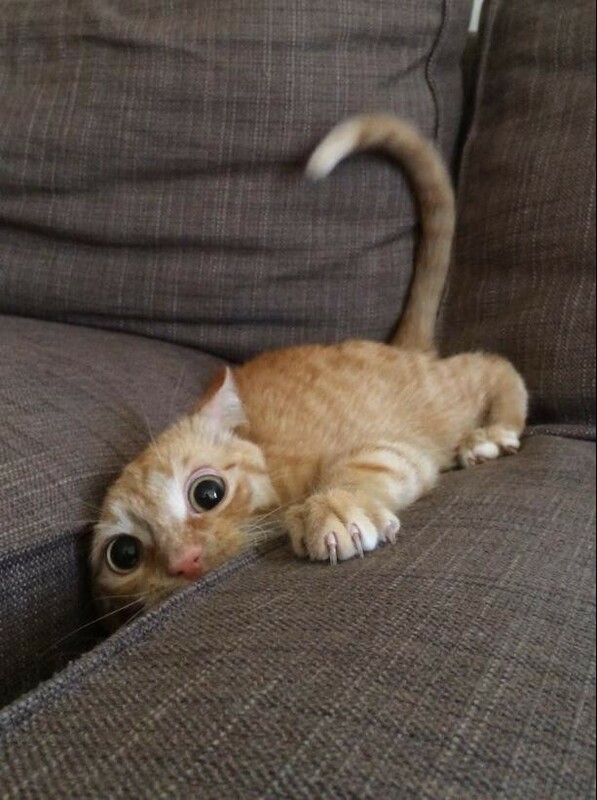 Why does my cat go crazy when I come home from a long trip? 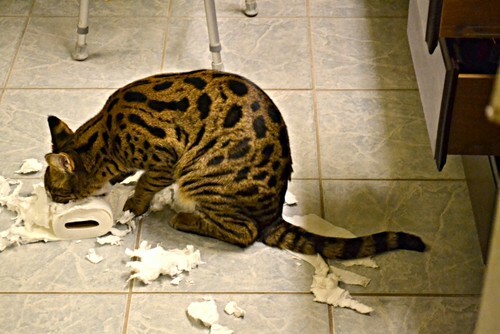 My cat is the sweetest thing until he sees the toilet paper. What’s the deal? 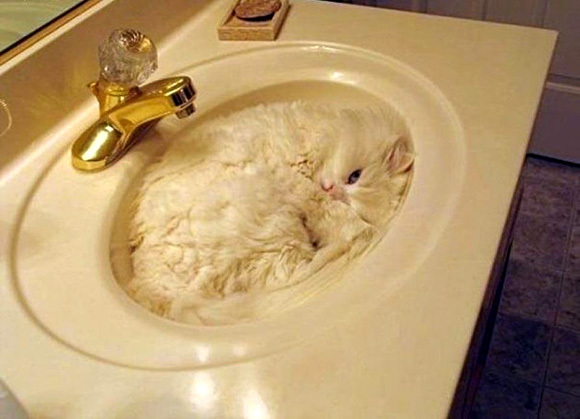 I bought my cat a beautiful – and expensive – cat bed. Why won’t she sleep in it? 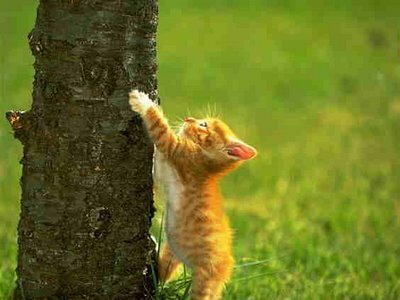 Why do kittens insist on taking on the world? 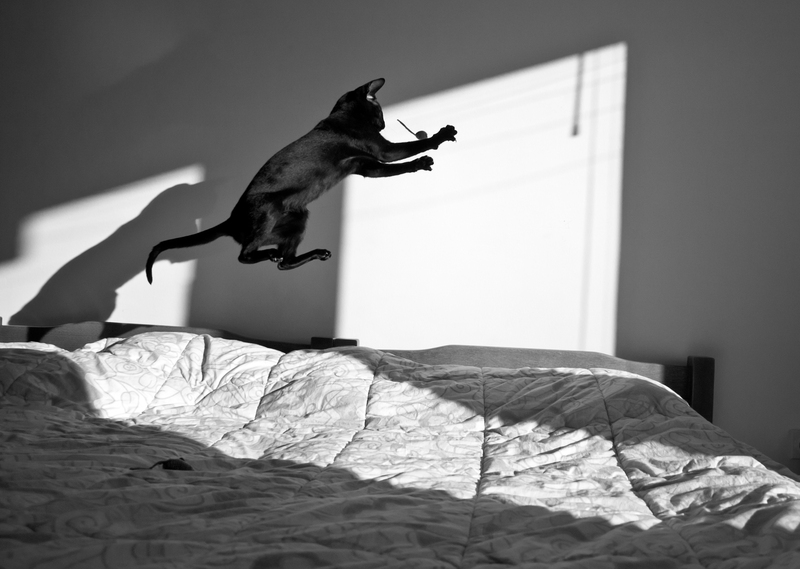 My cat chases anything that moves. My cat’s giving me the evil eye; what did I do wrong? Cats: the smartest, wisest, most insightful animals on the planet. Thanks to the person who inspired this commentary, though I can’t remember who you are. Thanks to a bunch of great photos from the internet. 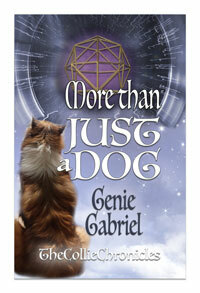 Other Collies besides Lassie have also enjoyed fame. One of those is Bobbie, the Wonder Dog. In 1923, he was separated from his owners on a road trip and lost in Indiana. After an exhaustive search, the broken-hearted family returned to their home in Oregon never expecting to see their beloved dog again. Six months later, Bobbie appeared on their doorstep mangy and scrawny with feet worn to the bone; he showed all the signs of having walked the entire way back—over 2500 miles. He was the subject of newspapers articles; played himself in a 1924 silent film, The Call of the West; and received hundreds of letters. You can find out more about Bobbie at <http://silvertonbobbie.com/Home.html>. — Former President Lyndon Johnson had a pet collie. 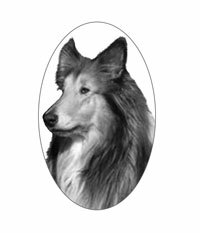 — Reveille, a Rough Collie, was official mascot of Texas A&M University. There have been a number of “Reveilles” since the first mascot in 1931. — Lad, pet of author Albert Payson Terhune, is chronicled through several short stories, most famously in the collection Lad, A Dog. WHAT IF you woke up this morning and all the rules of this world had changed? As quiet settled over your room, you drifted back to sleep, searching to return to that wonderful dream. TALK TUESDAY: HELP! MY DOG IS SHEDDING! TALK TUESDAY: Help! My dog is shedding his hair all over! ANSWER FROM TIPPY: Shedding is in celebration of spring! Don't worry, your dog won't become as bald as your uncle Joe. Humans can also use their daily pet time to brush their fur so it doesn't seem like his entire coat has fallen out overnight. You do spend quality time with your pet every day, don't you? And don't worry, this will pass. As the latest quote says, "Dog hair is the new black!" 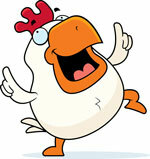 National Chicken Dance Day is May 14, 2016! Friday the 13th: BLACK DOG SYNDROME? my love the first time I saw her. When I was working at my local animal shelter about ten years ago, it was well accepted that black dogs and cats were harder to adopt. We even ran special promotions that touted the benefits of adopting a pet with black fur. Is this simply because black cats and dogs are more numerous than other colors? An article on Petfinder talks about Black Dog Syndrome and offers possible reasons why black dogs may face longer wait times to be adopted. But do statistics back up this longer wait time? A blog post from the American Society for the Prevention of Cruelty to Animals (ASPCA) claims this is a myth and offers numbers to prove their point. Myth or not, color doesn’t matter much to me. For many years, the dogs who came into my life seemed to be mostly black. 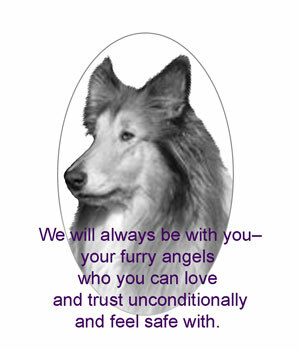 I welcomed them with open arms, loved them, and grieved them when they transitioned over the Rainbow Bridge. I still have black dogs—half of my current doggie herd are mostly black—but I also have dogs sporting fur of different colors. On this Friday the 13th, why not visit your local animal shelter and see who might be waiting for you? Like me, you might discover love comes in many colors! In addition to the boy and his dog years, the TV Lassie spent time with U.S. Forest Service Rangers, then a year traveling on her own before settling at a children’s home the last two seasons. Interesting reading if you didn’t follow the TV series through its entire time. The human cast changed many times, and a half dozen Collies (all descendants of the original) played Lassie. Lassie is cited as the fourth longest running prime time TV series, and Lassie has a star on the Hollywood Walk of Fame—one of only a handful of animal actors to receive that honor. My Collie isn’t Lassie, but certainly seems to represent our culture’s love affair with these beautiful and sweet-tempered dogs. WHAT IF EVERYONE COULD HEAR WHAT PETS SAY? Some of my family also communicate with animals. However, I don't usually start conversations with strangers by saying, "I talk to animals and they talk back." If the topic comes up, I usually slide in a casual comment and make note of their reaction, which can range from cautious curiosity and interested questions to eye rolls, stepping away, changing the subject and running in the opposite direction. 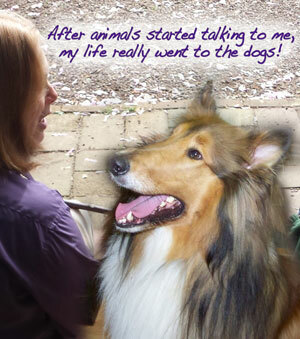 What a delight to hear someone say, "I'm an animal communicator too." I didn't have to speak cautiously or try to explain how talking to animals happens. We spent our time talking about our experiences, including the wonderful messages and lessons we've received from animals. As an added bonus, on Tuesday I called a couple local businesses looking for resources for one of my dogs and discovered another animal communicator who hosted healing circles in my area. What a wonderful feeling to know other people have discovered the delights and benefits of communicating with animals! QUESTION: WHAT TYPE OF FOOD IS HEALTHIEST FOR PETS? ANSWER FROM TIPPY: Being an old farm dog, I like real food. You know--home-grown, fresh food grown naturally. Once again, this opinion may differ from that of many humans. For courageous humans, you can do a taste test with your dog. Set two bowls side by side--one fresh, real food and one whatever you're feeding now. See which your dog prefers. Woof! Through the Hay House Summit (a free online event) I'm so pleased to have discovered an interview with Dr. Dennis Thomas, a veterinarian practicing in Spokane, Washington. 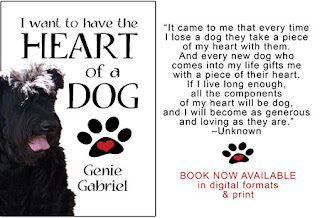 i just finished reading his book, Whole-Pet Healing: A Heart-to-Heart Guide to Connecting with and Caring for Your Animal Companion, which details how he uses alternative and complementary modalities in addition to Western medicine his practice. 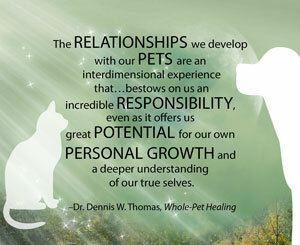 He also explains the role of energy in healing and the pet-human connection. So encouraging to see this! Sunday, May 8 is No Socks Day! 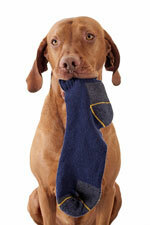 Perhaps because your dog has claimed all your socks? FRIDAY FAVORITES: ADOPTABLE DOGS AT WHS! I'm a former staff member and volunteer at Willamette Humane Society, and still have a special place in my heart (and my home!) for shelter dogs. Martha Bidlock Russell posts a fantastic blog each week about dogs waiting for adoption at WHS, and I'm delighted to share the link to Adopt an Oregon Dog. My Stewart was an alumni of WHS. couple of this week's QC blog posts. The Collie Club of America <http://www.collieclubofamerica.org> states the origins of the Collie are shrouded in obscurity, although most sources agree the Collie’s natural home was in the highlands of Scotland, where they were used for herding sheep. The CCA goes on to say “the true popularity of the breed came about during the 1860’s when Queen Victoria visited the Scottish Highlands and fell in love with the breed. 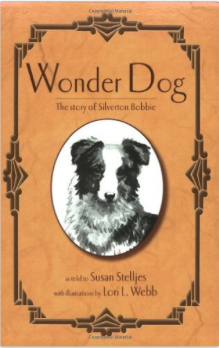 From that point on Collies became very fashionable.” In the 1950s, the TV series “Lassie” further romanticized Collies and portrayed them as the ideal family companion. The Collies I’ve known are very protective of children and women (in that order). Collie varieties can be smooth (short hair) or rough-coated (long hair that seems to flow when they run). 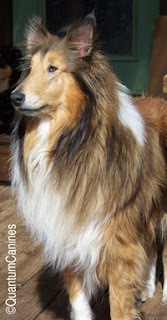 I’ve had three rough-coated Collies in this lifetime, and one smooth-coated Collie who was crossed with another breed. All that hair takes less maintenance than might be imagined, but may mat in some places. 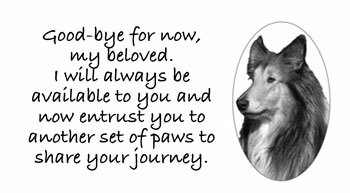 Though most of my Collies have been rough-coated, their fur is actually amazingly soft, inviting me to bury my face against them and deeply breath in their Collie scent. For humans: What if you could design the "perfect dog"? Describe this dog. Would you consider breed? Whether they were well-trained and could do cute tricks? If they were noisy, messy or required a lot of brushing? The color or softness of his/her fur? Whether they were playful or a couch potato? If they had the characteristics of a dog you currently have or who has passed over the Rainbow Bridge? Now, let's ask a dog. What if you could design the "perfect human"? Describe this human. 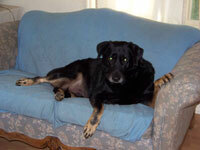 TALK TUESDAY Q&A: SHOULD I LET MY DOG ONTO THE FURNITURE? Question from Human: Should I allow my dog on the bed, couch and other furniture? 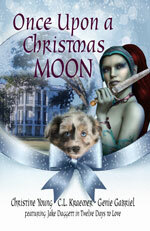 DIGITAL FORMATS ONLY 99 CENTS FOR LIMITED TIME! I was just a puppy when I joined my family. They lived on acres of land with trees and grass to romp through. And kids! My connection to the little girl was special. When I grew up, she was still a toddler. She laid her head on my belly and I curled around her; protecting her from those who arrived in noisy, smelly cars. I stayed outside, but I had thick Collie fur to keep me warm in the winter and a blanket in the woodshed attached to the house. In the summer when the door was open, I sometimes laid down with my paws on the threshold of the door and watched my family inside the house.